Currently viewing the category: "Convergence"
To help people plan their convergence weekend, we’ve put together the following timetable. Note that buses to Northam will be leaving from the southern end of the East Perth Terminal building (next to the foot bridge’s ramp on the western side of the East Perth train station, off Summers Street if you’re coming by car). 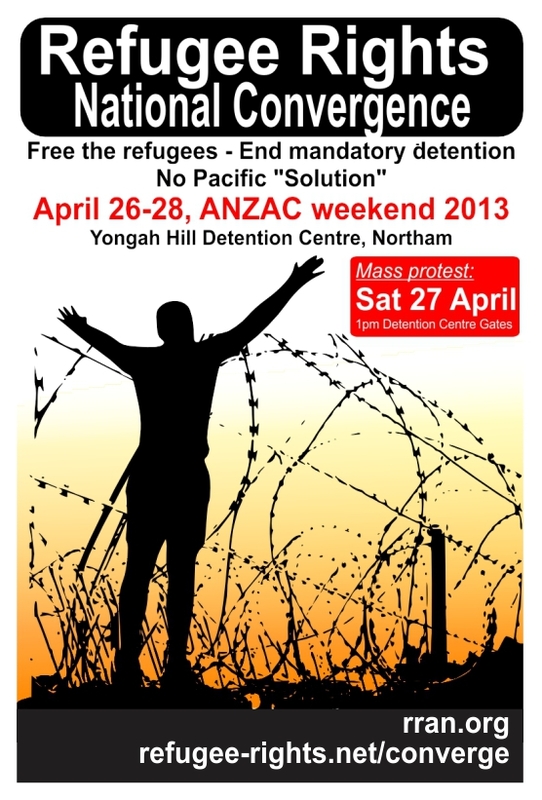 Refugee rights groups from around the country will be converging on Yongah Hill Detention Centre (Northam, WA) on the ANZAC day long weekend, 2013, to protest against the mandatory detention of asylum seekers.